It’s been all over the internet and rumor has it that Queen Elizabeth has passed over that undeserving son of hers, Charles and will crown Prince William the next King of England. If this is true I am ready for an all out happy dance but so far the only “news sources” reporting this are “rag mags” without much credibility. I don’t know what the protocol is for the Royals. I’m curious as to whether or not the Queen is bound by the traditions of the monarchy or could she if she so chose, absolutely pass over Charles and his prune, Camilla Godzilla and bestow the crown to the one most deserving of such a title, Prince William. On my mother’s side, England is one of my countries of origin so I blame her genes for my obsession over the Royals when in fact nothing they do has any consequence in my life what-so-ever but still I adore them – them, as a whole, individually I could definitely take some and leave some. I suppose it’s my own selfishness that is wishing and hoping that the crown goes to Prince William next because seriously, well, he’s just great “eye candy” and his family is adorable. And if anybody can verify that this rumor is true or false please comment below. Fingers, eyes, and toes all crossed that the next King is in fact, William. I sure hope that rumor is true! Prince Charles, the bloody louse, and Camilla Godzilla (perfect description LOL!) do Not deserve the throne. At all! Prince William definitely deserves it. Princess Diana would be so proud of her sons, both of them. I don’t know the protocol for the Royals either but I bet the Queen has some flexibility in choosing her successor. Hope so anyway. 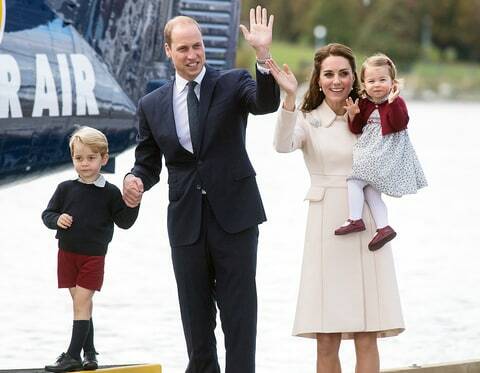 I love Will and Kate, and those adorable little Royals. I hope the Queen has A LOT of flexibility, after all, she is the Queen! And omgosh is in my DNA. My mom's family has quite an ancestry. I don't know and really don't care. The only one I really paid attention to was Princess Diana. I did love your Charles and his prune, Camilla Godzilla comment though. I laughed out loud. I adored Diana and Charles is a piece of crap for the way he treated her. All they wanted her for was to be a 'breeder'. Camilla Godzilla is perfect! I hope the rumours are true. William & Kate would be so loved and respected. Charles would not. Even if it did go to Prince Charles, surely he would abdicate his right to the throne. Great thoughts, and warm greetings. Parliament not the Queen chooses who becomes the next ruler so it is possible that Charles could be skipped over but unlikely as he's had years of grooming for the throne and William is still learning. It would also require a change to British constitutional law for William to become King. I loved Diana too.. Seriously, how could Charles give her up for Camilla Godzilla??? GREAT idea! I have no hopes that he will tho. When has he ever done the “right” thing?? Hi Blogoratti! 🙂 Fingers, eyes and toes all crossed that he does exactly that! I love royals too ! At least à bit romance in our life ! Charles will become King that's for sure.It's in thé constitution, unless he refuses then it's William's turn. I wish he would do the right thing but when has Charles ever done the right thing? ?